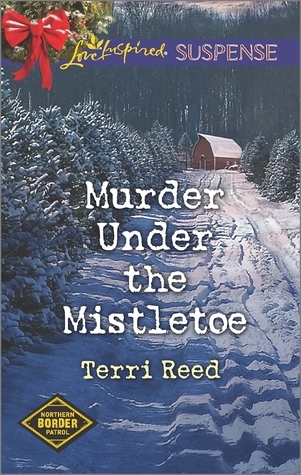 Murder Under the Mistletoe by Terri Reed is another amazing clean romantic suspense from the author. In this one, we meet Heather Larson-Randall who manages a Christmas tree farm in Idaho and is a widow living with her son. Her brother is dead too. Tyler Griffin is a DEA agent working undercover to stop a drug cartel that uses a Christmas tree farm to smuggle narcotics across the Canadian border. Needing Heather's help in catching the criminals, he will first have to convince her to trust him when it was because of him that her brother died! I enjoyed reading this book. There is plenty of mystery, suspense and a good clean romance. The story is fast paced and as usual, I loved Terri's writing style. She had me visualizing the Christmas tree farms in Idaho and had me wanting to visit them. All in all, Murder Under the Mistletoe by Terri Reed is suspenseful story that kept me engaged throughout and had me enjoying the chemistry and the mystery. 4 out of 5 to it and recommended to all romantic suspense lovers.